On April 5, 2016, the fourth annual nationwide Mayor and County Recognition Day for National Service recognized the collective powers of AmeriCorps, Senior Corps, and citizens’ programs as cost-effective strategies to overcome local challenges and address solutions to transform our cities and counties into thriving and safe communities. As of 2016, 3,539 mayor and county officials, who represent more than 150 million citizens, participated throughout the nation, including Guam and Puerto Rico, in recognizing the services from AmeriCorps members and Senior Corps volunteers. 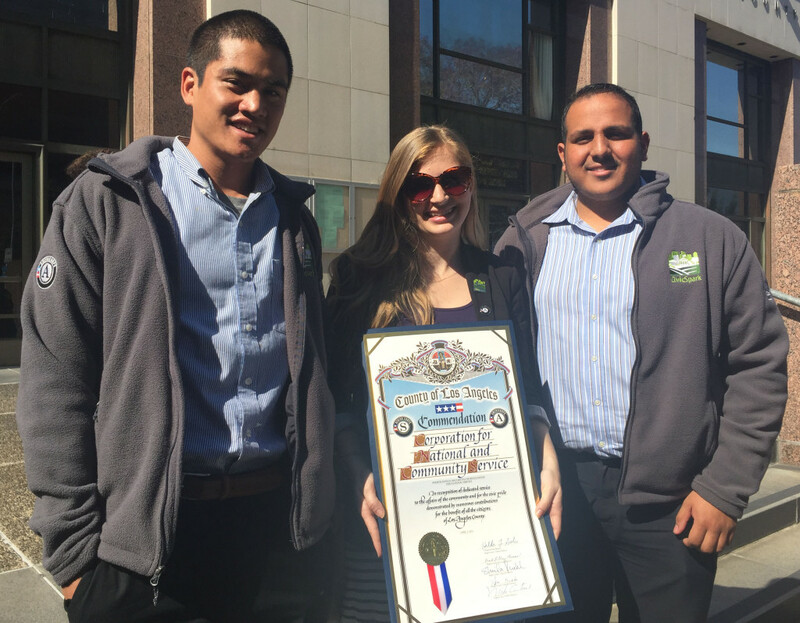 Representing CivicSpark AmeriCorps from the Los Angeles region were fellows Carrie Metzgar, Sergio Avelar, and Daniel Maloney, who attended the County of Los Angeles Board of Supervisor meeting to receive the award, along with other community volunteers. All five board members and attendees gave these fellows and other volunteers a standing ovation. Carrie is helping the City of Long Beach develop a comprehensive Climate Action and Adaptation Plan and is also assisting the Alliance of Regional Collaboratives for Climate Adaptation (ARCCA) with the creation of the Adaptation in Action Roadmap, an online tool streamlining the process of planning for adaptation in local jurisdictions. 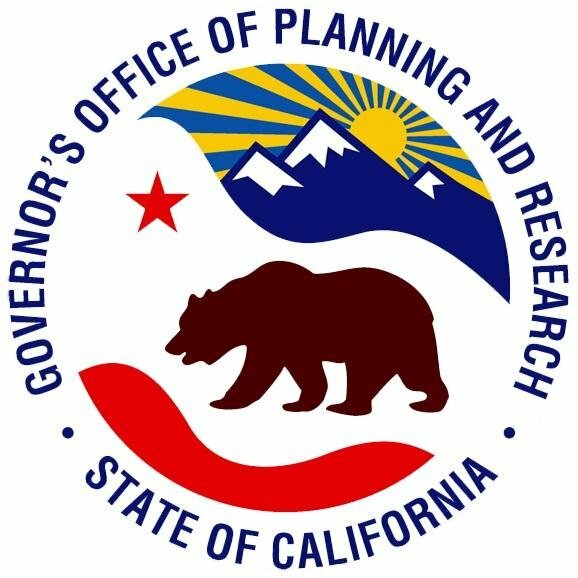 Sergio has been a team player for the LA County Department of Public Health in working on “Cool Roofs” and a variety of other projects to confront the urban heat island dilemma. Daniel works for LA County Department Office of Sustainability, in finalizing the LA County’s sustainability framework and creating metrics for implementing electric vehicle charging stations. He is also a part of a group defining “equity” in how departments can find ways to create areas of opportunity in disadvantaged communities. They are grateful to be making a positive difference within their communities.